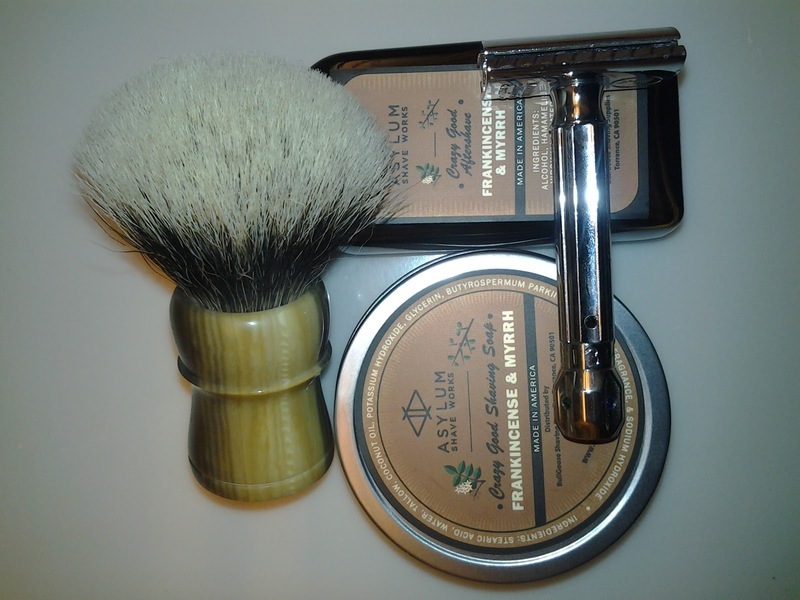 A couple of months ago I received the best care package ever from Phil of BullGoose - also known as "The Enabler" - and one of the items in the package was a Artisania Romera Manchurian Badger brush with a faux horn handle. The 28mm Romera is the first high end badger I've owned - my only other experience with badger is two mixed brushes (horse-badger and boar-badger) and a cheap badger I picked up in a Spanish super marked. With that in mind, perhaps I'm somewhat biased... although looking at what other people say about Romera brushes I don't think my experience differs all that much. Short version? 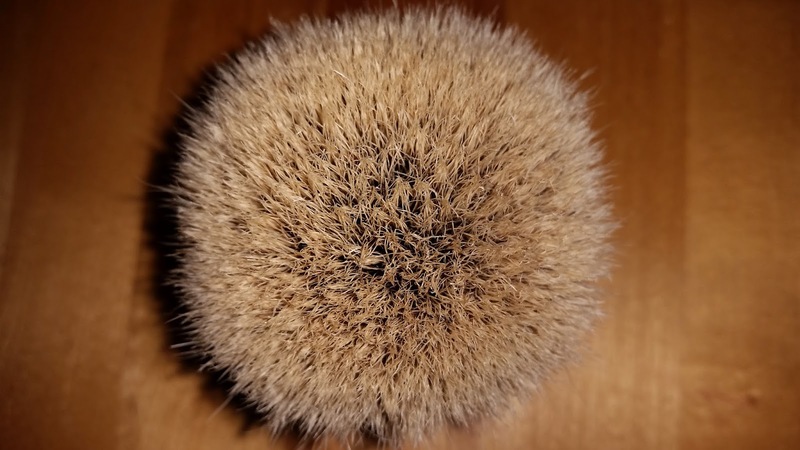 The Artisania Romera Manchurian Badger is an awesome brush. Soft tips, enough backbone to whip up copious lather - but not a lather hog, it gives it right back - comfortable handle. It simply feels right to pick this one up in the morning and enjoy my moment of Zen. 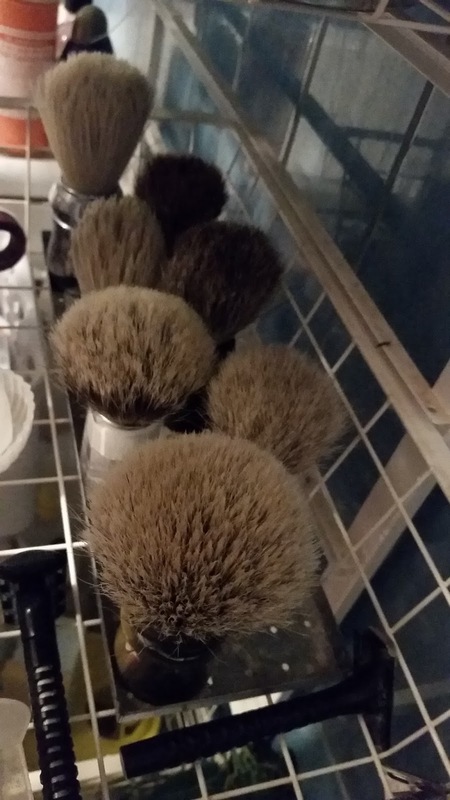 For various reasons I've always gravitated towards the smaller knots when I buy brushes - cost is but one side of that equation - but unlike my Omega 48 the Romera is small enough to easily load in most soap tins. In short, I can recommend getting a Artisania Romera Manchurian Badger. The artisan can - allegedly - be hard to communicate with, but the end result is worth it. Thank you for the review Hans. Very nice brush. Unobtainium. I've liked what I've tried. Great knots after some serious defunking. But I didn't have the bad experiences during the buying/delivery process. Still waiting on mine from an order placed in May. The tracking that he sent says that it shipped on 9/12, but the package has not moved at all since 9/14. Not happy dealing with him at all!! Seems like a scam artist to me! (10-11-2017, 10:56 AM)gmhjr06 Wrote: Still waiting on mine from an order placed in May. The tracking that he sent says that it shipped on 9/12, but the package has not moved at all since 9/14. Not happy dealing with him at all!! Seems like a scam artist to me! Don't wait too long before opening a paypal dispute. If you wait until after the time limit expires, you may not receive either the brush you ordered or your money back. Hans, that brush looks fantastic. I'd have zero reservations about ordering anything from Phil (you're awesome! ), however I think your experience would be completely different if you were to deal with Romera directly. Sidetracking a bit, but if the tracking shows it as shipped the problem is most likely not with the artisan - unless you suggest he have waylaid the postal truck to steal the package back? Depending on how it's shipped, updating tracking numbers isn't always a priority with some carriers. (10-11-2017, 12:16 PM)Mr_Smartepants Wrote: Hans, that brush looks fantastic. I'd have zero reservations about ordering anything from Phil (you're awesome! ), however I think your experience would be completely different if you were to deal with Romera directly. I am glad to hear that you like the brush Hans. I adopted one of the brushes myself and it is one of my go-to brushes. "Like it" is somewhat of an understatement Phil It's the one brush I would grab if my house caught fire, along with my Better Half and the pets. (10-11-2017, 08:18 PM)WegianWarrior Wrote: "Like it" is somewhat of an understatement Phil It's the one brush I would grab if my house caught fire, along with my Better Half and the pets. What a lovely horn handle on that brush!